Representative Example: Mortgage of £120,000 on property valued at £200,000 over term of 25 years. Rate fixed for 2 years after which reverts to Post Office variable rate of 4.74%. 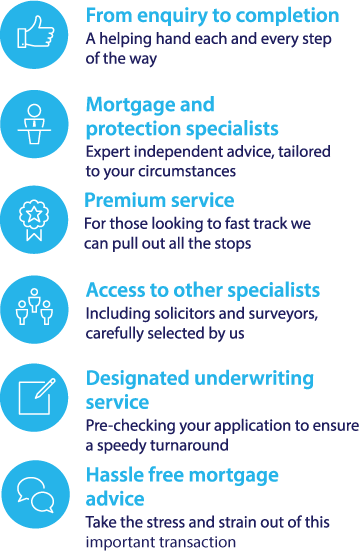 To investigate your buy to let mortgage options, call our specialist team on 0117 403 4222 or fill in our call back form. It is important to note that from 2017 private landlords can no longer deduct the expenses derived from their buy to let properties when calculating their profits, for a self-assessment at the end of the financial year. However, these rules do not apply to limited companies. As a result, more private landlords are looking to set up their own limited company for their buy to let properties. Setting up a limited company does have a few associated costs that should be considered before any action is taken. Further changes to the regulations governing the buy to let mortgage market will be implemented in 2017. Firstly, lenders will have a stricter income stress test. Before granting a buy to let mortgage, the lender will require that the landlord can afford mortgage payments in the event that interest rates increase to 5.5%. In addition, lenders will require a rental coverage ratio of 145% for standard buy to let properties and 170% for a house in multiple occupation. The rental coverage ratio cannot be merely an informal estimate. Lenders will compare the property with others in the area and likely request an estimate from a professional surveyor. Finally, due to the recent changes to the rules affecting buy to let mortgages, it is advisable to contact a specialist financial broker to find the best mortgage for you. If you are looking to move quickly, call our mortgage team today to find the best buy to let mortgage deal for your circumstances.